When will be Goodnight Sweetheart next episode air date? Is Goodnight Sweetheart renewed or cancelled? Where to countdown Goodnight Sweetheart air dates? Is Goodnight Sweetheart worth watching? In 1945, Gary and Phoebe join a concert party in Belgium to entertain the troops, but a sudden a sudden advance by the Germans leaves them stranded behind the lines. Meanwhile, in 1999, Gary thinks Yvonne might be having an affair and recruits Ron to spy on her while he's away. In 1999 Ron has been dumped by his girlfriend Flic and has become extremely depressed, but Gary is distracted by the bulling tactics of a protection racket in 1945 and his attempts to get them arrested. Meanwhile, Yvonne is preparing to accept her peerage, but on the night she is due to unveil her statue at the Millennium Dome, she receives a rude surprise. Yvonne is reading a biography of Noël Coward and when Gary realises it contains a picture of him in the 1940s, he must take drastic action to ensure his time travelling isn't exposed in the 1990s. Meanwhile, Ron accidentally books a singles holiday with amorous old ladies, and a recently discovered Noël Coward play, Gary & Phoebe, catches Yvonne's eye. When Yvonne witnesses Gary go through the time portal, and then finds a picture of Gary and Phoebe from the 1940s, she's not satisfied with Gary's answer and demands the truth. In 1945, celebrations for VE Day are beginning and future Prime Minister, Clement Attlee, is in town to join the festivities. Unfortunately for Gary, things are about to change even more than he suspects. 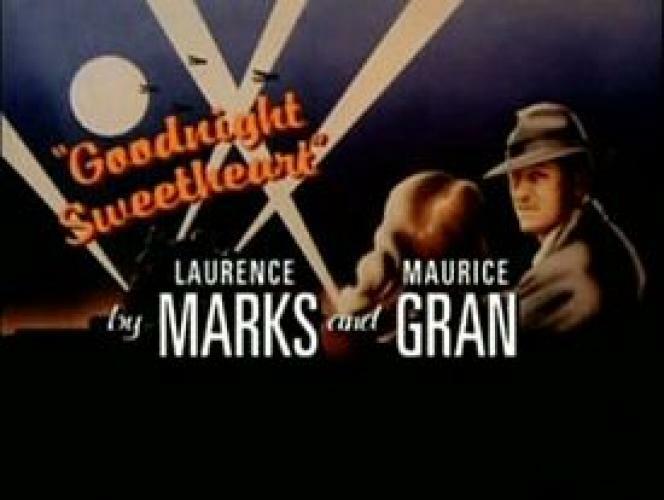 Goodnight Sweetheart next episode air date provides TVMaze for you. EpisoDate.com is your TV show guide to Countdown Goodnight Sweetheart Episode Air Dates and to stay in touch with Goodnight Sweetheart next episode Air Date and your others favorite TV Shows. Add the shows you like to a "Watchlist" and let the site take it from there.